The NYC Ideas are Worthless Conference is almost here! To showcase the vibrancy of the startup scene and black tech entrepreneurs in NYC, we created the Black Founder’s list of Made In NYC. AdSmoke allows website owners with video content the ability to earn revenue by showing commercials in front of their video content; essentially monetizing Youtube videos for the owners. MoviePass gives you access to Unlimited Movies in Theaters Nationwide for a monthly fee. Dibsie is an online catalog curated by your social network in real time. It serves as a directory for the current fashion trends in your social media circles. Knodes is a platform that provides rich social data-based insights about your users across all of their networks. Knodes lives to help you netter understand your app users, readers, supporters, advocates and friends. FanFeedr is a source of sports news and information about professional and college sports teams, offering over 400 distinct, team-specific sites and social media accounts that provide news, photos, video, and sports data about the NFL, Premier League, MLB, NBA, NHL, NCAA Football and Basketball, and MLS. Fanfeedr’s content is curated from over 10,000 global websites, newspapers, blogs, official team sites, and Twitter accounts. CyberSynchs provides a synchronization platform that can store and transfer electronic data to and from all of your media devices in a safeguarded, retrievable, and transferable online database of your information. 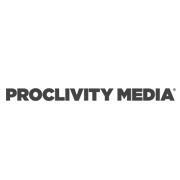 Proclivity Media is the first exchange where ads are bought and sold based on the real-time value of millions of customers. 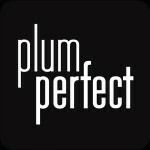 Plum Perfect, a visual search engine that provides instant personalized recommendations to shoppers using their photos.